Qualcomm teased its new flagship smartphone chip at day one of its Summit in Maui, and, as expected, the company’s got a lot more to offer us on day two. The Snapdragon 845 is the latest premium processor, due out next year. And like its predecessor, the 835, you can expect the thing to be nearly ubiquitous on 2018’s flagship handsets — not to mention a few Windows PCs. As anticipated, new chip will sport the same 10 nm manufacturing process as its predecessor, but the company is altering its architecture some in order to bring even more of a focus to imaging. No surprise there, really — the entire industry has been headed in that direction, as smartphone makers work to differentiate themselves with improved photography through multiple cameras, while embracing next-generation AR and VR applications. 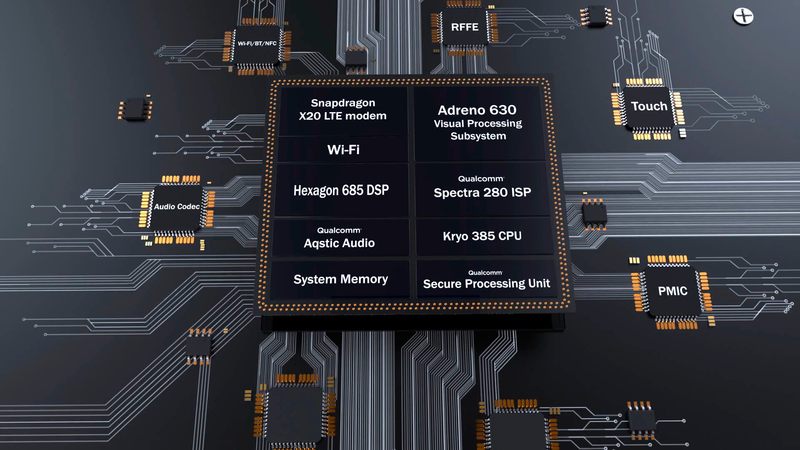 New here are the Spectra 280 ISP and Adreno 630 — new architectures designed to improve photography and video capture. That includes the ability to capture significantly more color information with HDR photos and improved playback on Ultra High-Def displays. Also on-board is SLAM (simultaneous localization and mapping) with simultaneous six-degree of freedom — that can be used for obstacle collision, pointing to Qualcomm’s increased focus on technologies like augmented and virtual reality. Artificial intelligence is, naturally, another big focus here. The San Diego chipmaker is promising some pretty big gains on that front — specifically a 3x performance boost. That means improved personal assistant performance and all sorts of other improvements to existing features. The company’s also added support for TensorFlow Lite and the new Open Neural Network Exchange frameworks, in addition to regular old TensorFlow and Caffe, freeing up developer choice on that front. For security, there’s a devoted secure processing unit on-board, which should bring improvements to biometrics and encryption. Battery life is another key upgrade, with the new Snapdragon promising almost one-third power reduction for energy-hungry features like video capture, AR/VR and gaming. The new chip has already started shipping to manufacturers and is due out in devices early next year. That means there’s a pretty good chance we’re going to see quite a few devices announced in roughly a month from now at CES. Huawei has already announced its intentions to use the chip on an unnamed flagship, and if the 835 is any indication, most of the other major Android manufacturers will join them soon enough.